A beautifully presented countryside residence set in a truly outstanding natural location. Views from the terraces stretch down to the nearby coast and are further complemented by the views to the hilltop Castel de Santuiri. 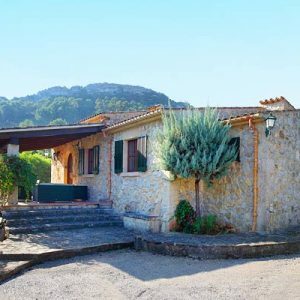 Simply, Sa Sinia commands one of the finest countryside locations. The perfect mix of tranquility and convenience with beaches, shops and restaurants just a short drive away. Furnished to a very high standard with excellent furnishings and fittings. Cooling terracotta tiles and oak beams throughout. 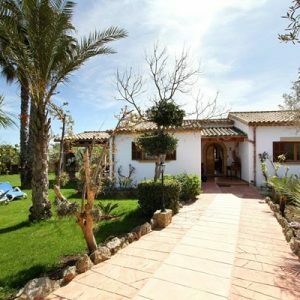 Adjacent to the main house is a delightful garden casita with separate entrance.